I’ll just come out and say it, I hate chocolate milk. Heck, I’ve never been a fan of milk to begin with (…unless it came with a warm cookie or in the form of ice cream). But today was different. I wanted a chocolatey taste with my breakfast, without the overpowering sweetness. I should rename this to the “adult cocoa blend” or something. I’m not sure how many people want to flaunt that they had a “Chunky Monkey Chocolate Milk” for breakfast, but hey- live a little and laugh! 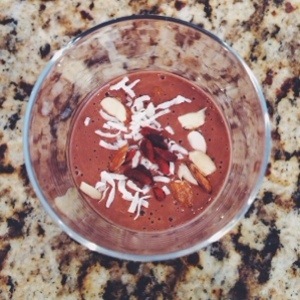 >>Blend all ingredients in a blender. **I made mine with almond milk and a scoop of protein powder. 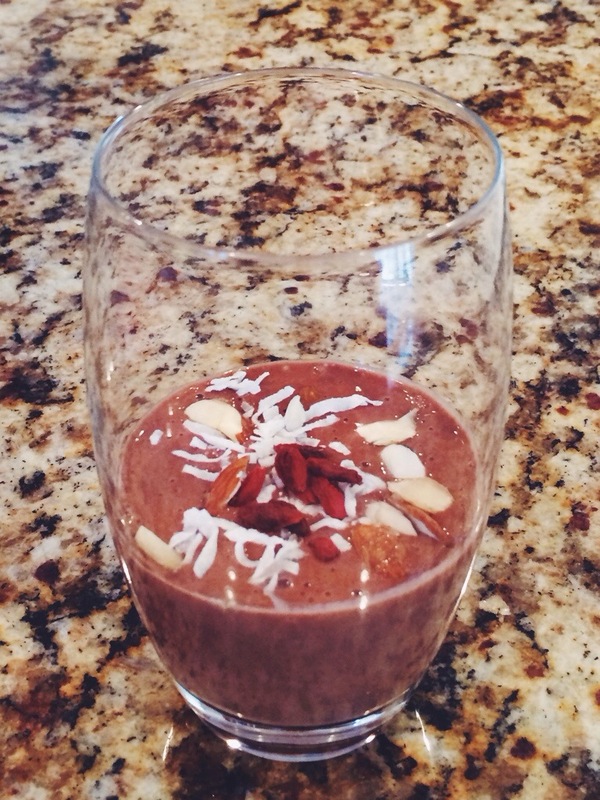 I topped it with chopped almonds, goji berries, and coconut shreds. (I highly recommend adding these “chunks” for the extra crunch)! What’s your favorite “kids drink”?